Your help needed for a Ti to M52 swap, please. O.K. So I read the top sticky, "Everything needed for a swap". Seems to be only for an M swap. Also read some of the other threads but can't seem to find definitive info on exactly what is needed for a M52 swap from a 328i donor car. Can anyone list what I might need to pull from a 328i? The Ti is a 98 which would make it an OBDll. Which year 328i would be best to pull from, I"m guessing another OBDll or '97-98? Which trans would be the best to choose from, years ect? Which dif would be best as well? I guess I'll need a drive shaft. Exhaust? Any other ideas, thoughts would be much appreciated. Thanks in advance. Last edited by RCV7; 02-21-2011 at 01:38 AM. Whether it's a S52 or a M52, I'm pretty sure the parts are going to be the same. Also there is suspension, cooling system. Any OBD-II E36 328 will do. I think I have a 3:54 diff. And best to have the donor car nearby. Thanks for the info. 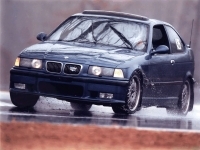 Do you know if a 1999 328i or a 1996 donor car would work? Which years exactly should I be looking at? Should I only be looking at a '98 since the Ti is a '98? Is your 3:54 dif ideal and which should I try to avoid? Any idea which dif comes stock with a 98 Ti Auto? Thanks so much. Last edited by RCV7; 02-21-2011 at 08:01 AM. 96-99 are obd2 so any would work.. Thanks so much for your help. I guess I'll have to swap out the dif as well as the ti has very high gearing. A LSD 3:54 would probably best I'm guessing? I'd eventually use the car as a dd but would like to get into autox and maybe take it to a track someday. 3.45 you mean..i been using the stock diff on my car for 2 years now w my m50 swap and havent had any issues.. So you're saying that a '99 engine and 5 speed would bolt right into a '98 Ti with no mods needed? If that's the case, that's great news. I've seen a few 99 328's parts cars around. Thanks again, most helpful. yeap.. just make sure if your not going to change anything in the m52 that everything is in working properly before you swap it into the ti..